So if you look at the yellow boxes you can see that the OVA will deploy much slimmer config as well as utilize the paravirtual SCSI controller. If you are looking for a bit quicker and slicker VSA in your vSphere lab then I would defintely go with the OVA setup. Make sure your vCenter is running at least U1 to import (http://nickapedia.com/2010/04/20/celerra-vsa-ova-import-bug/). I seem to have something in between. My server is a new Dell T110 with Xeon X3440 and 8GB. I am using ESXi E+ (patched to Ver 4.0.0 Build 244038) and I use the Vsphere Client (ver 4.0.0 build 20811) I am using your “Uber” OVA version and I added it to my host using the -file -Deploy from OVF template method. It adds without complaint but I end up with options non like what you indicate above. The defaults I see are 1GB (instead of 4GB) 1CPU (instead of 2) LSI Logic SAS (instead of Paravirtual.) 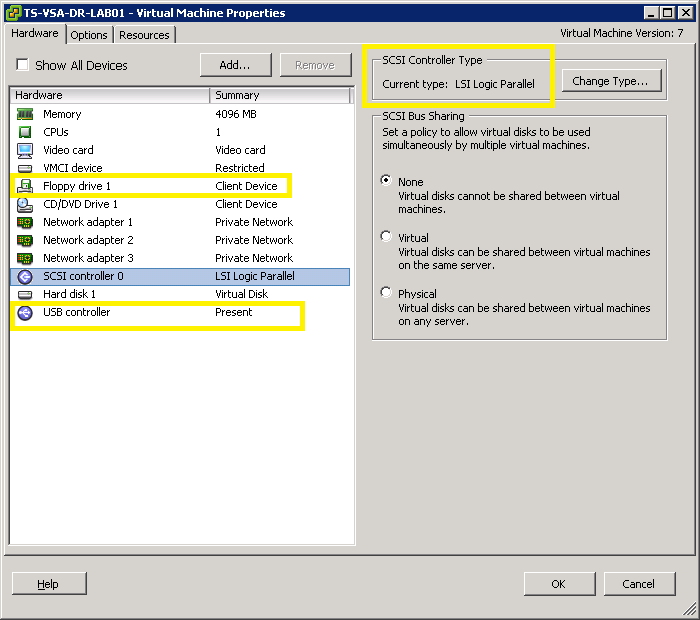 My default has Paravirtualization disabled, as well as CPU/MMu Virtualization set to auto, instead of forcing VT-x and EPT, as I expected as a requirement for a max performance VSA image. 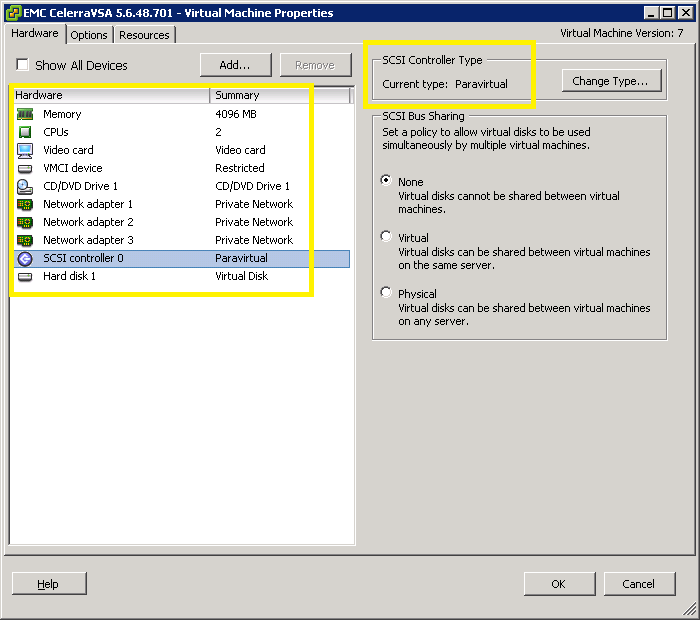 This blog post is referring to the non-uber version of the Celerra VSA. The uber version runs smaller and uses a more generic configuration for a wide audience. That doesn’t mean you can’t customize however you would like though. OK, that makes sense. Do you have suggestions as to optimal choices for your Uber VSA? The reason I am asking is that both your and the Virtual Geek blogs refer to significant performance improvements,but not much detail into how these were achieved. I want to be sure that the settings I have on the Vsphere side do not restrict these newfound advantages. I am pretty confident that more CPU’s/RAM and forcing VT-x and EPT will contribute to performance, but is enabling Paravirtualization and the associated SCSI adapter significant? Of course I can test and will, but I am looking forward to your opinion and experience.